From an early age, my father taught me that if you can't say something nice then don't say anything. This is my first article in a while. In the last 12 months there hasn't been much nice to say about the Black Mountain real estate market. Statistics from the Multiple Listing Service (MLS) indicate that the real estate market in our area may be ready to move forward. First of all, right now in Black Mountain there are 25 homes under contract. That figure immediately indicates that there is strong interest in Black Mountain homes. By studying the rate of homes sold in the past 15 months, it is apparent that while the number of homes sold has been decreasing, the last two months show a slight up tick in volume. 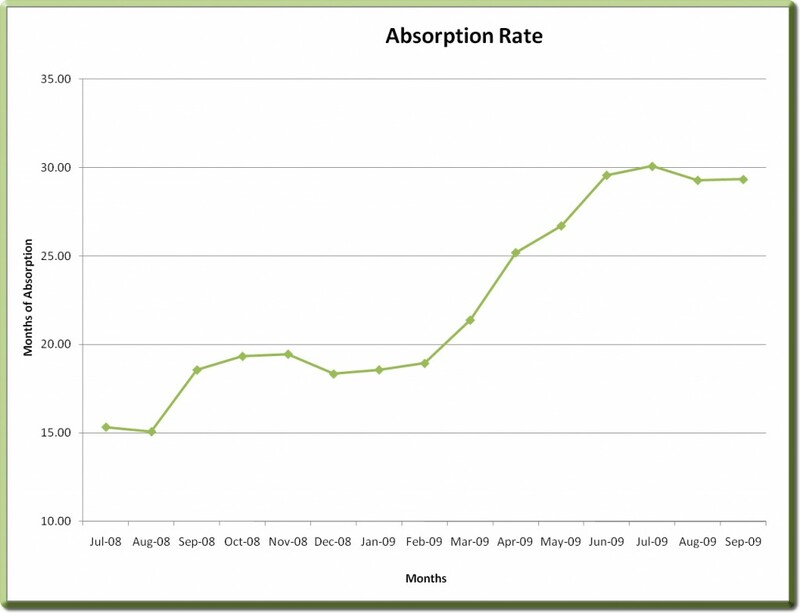 An analysis of the absorption rate indicates that the number of months a home is on the market has risen over the last year. It's interesting to note, however, that there has been a very slight drop in that number of months in the last 60 days. The amount of inventory available has increased as well, but that statistic is a difficult one to analyze because of the seasonal nature of our market. In addition, it is quite possible that the increase in inventory is due to more people who were waiting for a positive market turn finally putting their homes on the market. 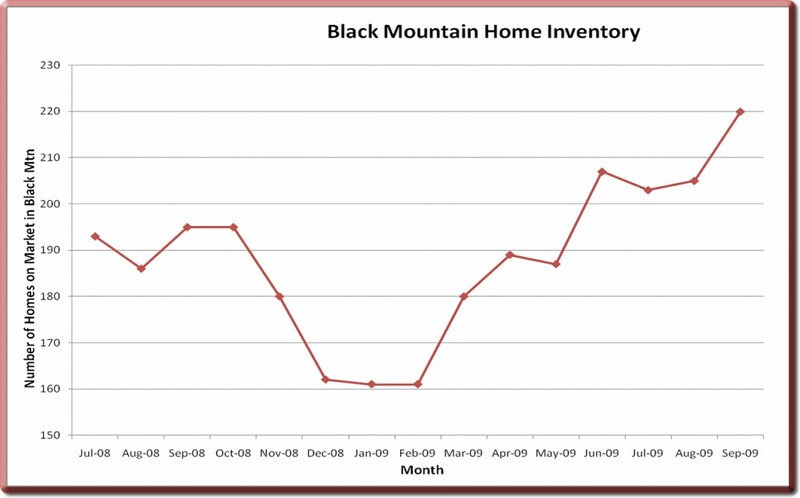 It is also encouraging to study the numbers of Black Mountain homes sales from January through September for the last three years. Yes, there has been a dramatic drop in number of homes sold as well as an increase in the number of days those homes that sold were on the market. But I find it very positive to look at the median price. Despite that drop in sales volume, the home prices are staying solid. 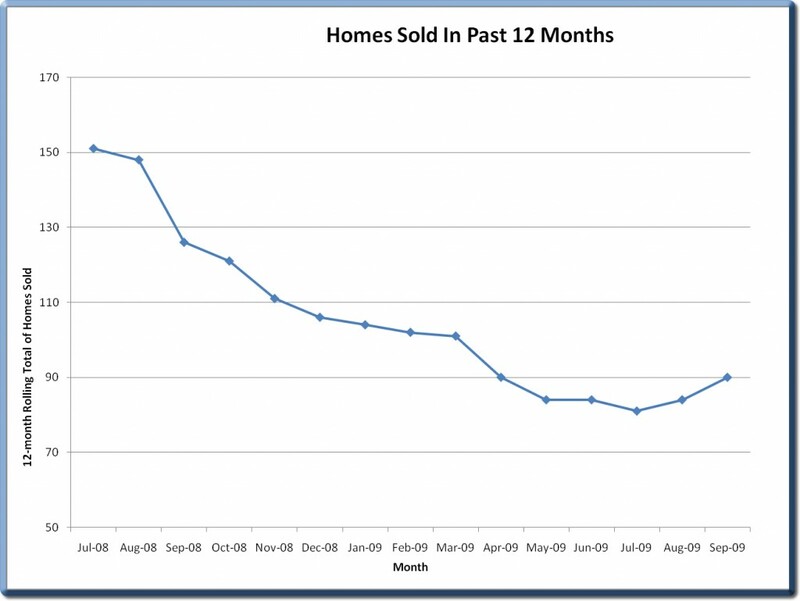 There was only a 2% drop in median price for the time period from 2007 to 2009. From 2008 to 2009, the median price dropped only 1%. I find it very encouraging that home prices have remained so solid during this difficult stretch. In conclusion I would say that I am cautiously optimistic that the decline in the Black Mountain real estate market seems to have leveled off and might even be trending upward. If you recall at the beginning of this article I noted that 25 homes are presently under contract. Remember that homes sales lag about 45 days from contract date. With these early signs of potential recovery, I expect to be writing more articles soon with even more good news to share.